Některé noty pro dechy najdete i v sekci Klavír (Petr Hapka, Václav Neckář, Petr Novák, Jiří Šlitr, Karel Svoboda, Marie Rottrová). Jednoduché popové melodie pro klarinet. 50 známých písniček pro klarinet v notách v lehké úpravě. Např. My Heart Will Go On (Titanic), Scarborough Fair, Every Breath You Take, Love Me Tender, In My Live (Beatles), Like a Virgin (Madonna). Pro celý seznam písní klikněte na název. Kniha A4, noty, texty, akordy. Jednoduché popové melodie pro trumpetu. 50 známých písniček pro trumpetu v notách v lehké úpravě. Např. My Heart Will Go On (Titanic), Scarborough Fair, Every Breath You Take, Love Me Tender, In My Live (Beatles), Like a Virgin (Madonna). Pro celý seznam písní klikněte na název. Kniha A4, noty, texty, akordy. 20 současných popových hitů pro klarinet. V notách jsou jednoduché melodie a přiložená karta umožňuje stažení MP3 písní jednak kapely a klarinetu a také samotných doprovodů pro vaši hru na klarinet. 22 [Taylor Swift], All Of Me [John Legend], Atlas [Coldplay], Best Song Ever [One Direction], Jar Of Hearts [Christina Perri], Just Give Me A Reason [P!ink feat. Nate Ruess], Last Friday Night [Katy Perry], Let It Go [Idina Menzel, from Frozen], Make You Feel My Love [Adele], Once Upon A Dream (Maleficent) [Lana Del Rey], Panic Cord [Gabrielle Aplin], Right Place Right Time [Olly Murs], Say Something [A Great Big World feat. Aguilera, Christina], Skyfall [Adele], A Sky Full Of Stars [Coldplay], Someone Like You [Adele], Stay [Rihanna feat. Mikky Ekko], Titanium [David Guetta], What Makes You Beautiful [One Direction], Wrecking Ball [Miley Cyrus]. Kniha A4, noty, 48 stran. Album 10 atraktivních skladeb pro žesťový kvartet: 1. trubka, 2. trubka, tenorový roh v B nebo 1. pozoun v C, baskřídlovka v B nebo 2. pozoun v C. Zaranžoval dlouholetý sólista a aranžér orchestru Gustava Broma, jazzman Zdeněk Novák. Album obsahuje mimo jiné Ježek - David a Goliáš; Bernie, Pinkard - Sweet Georgia Brown; traditional Bill Bailey; Abba - Money, money; Ježek - Svítá ad. Kniha A4, partitura + 6 partů, 5 sešitů, 28 + 6x15 stran. 25 známých sól slavných trumpetistů i s rozborem jejich hry. Styly zahrnují pop, rock, jazz, swing, blues. Například: Louis Armstrong, Herb Alpert, Chris Botti, Miles Davis, Maynard Ferguson, Dizzie Gillespie, Al Hirt, Chuck Mangione a další. 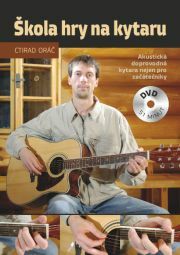 Všechna sóla jsou nahraná i na CD. Kniha A4, anglicky, noty, 92 stran. Noty jsou určeny a rozděleny pro všechny dechové nástroje (Bb, Eb, C, C bass). Tato série nabízí 10 dixielandových skladeb v kvalitní podobě jak v notách, tak na výborně nahraném CD, kde je verze kapela+sólo i kapela samotná pro vaši hru. Obsahuje i volné chorusy pro vaši improvizaci. A Good Man Is Hard To Find, Alexander's Ragtime Band, Ballin' The Jack, Bill Bailey, Won't You Please Come Home, Royal Garden Blues, That's A Plenty, The Darktown Strutters' Ball, Tiger Rag (Hold That Tiger), Toot, Toot, Tootsie! (Good-bye! ), When The Saints Go Marching In. Kniha A4, 72 stran, noty. 15 skladeb slavného skladatele filmové hudby Henry Manciniho pro klarinet. Na přiloženém CD jsou doprovody pro vaši hru. Pink Panther, Peter Gunn, Baby Elephant Walk, Charade, Days Of Wine And Roses, Dear Heart, Dreamsville, It Had Better Be Tonight, Moment To Moment, Moon River, Mr. Lucky, The Sweetheart Tree, The Thorn Birds, Two For The Road, Whistling Away The Dark. Kniha A4, 16 stran, noty. 15 skladeb slavného skladatele filmové hudby Henry Manciniho pro trubku. Na přiloženém CD jsou doprovody pro vaši hru. Pink Panther, Peter Gunn, Baby Elephant Walk, Charade, Days Of Wine And Roses, Dear Heart, Dreamsville, It Had Better Be Tonight, Moment To Moment, Moon River, Mr. Lucky, The Sweetheart Tree, The Thorn Birds, Two For The Road, Whistling Away The Dark. Kniha A4, 16 stran, noty. Michael Jackson - 12 nejznámějších písní pro klarinet: Beat It, Billie Jean, Black Or White, Don’t Stop, Human Nature, I Just Can’t Stop Loving You, Man In The Mirror, She’s Out of My Life, The Way You Make Me Feel, Thriller, Will You Be There (Theme from Free Willy), You Are Not Alone. Na přiloženém CD jsou doprovody ke všem skladbám. Kniha A4, noty, 28 stran. 42 oblíbených klezmer skladeb pro klarinet nebo nástroje v Bb ladění: A Chassidic Dance ,A Chassidic Happy Tune, After Havdalah, After the Three Meals, Aliandrah, Ancestry, At the Rabbi's Table, Brace Yourself, Bulgarian Djiog, Cheerful Folk, Come Home Sarah Gittle, Folk's Waltz, Grandfather's Joy, Happy Brethren, Happy Dance, Hop-la-la, Hora Havalyah, How Beautiful, Ladies, Let Us Be Joyful, Let Us Dance, Let Us Pray to God, March From the Wedding Canopy, Moldavian Ange, Near the Rabbi ,Obodivke Dance, Oh! An Imperfect World, Payah ,Polonezkaya, Procession to the Wedding Canopy, Romanian Tune, Sarah at the Rabbi's Place, Sing a Song, Svirskaya, The Lithuanian, The Rabbi's Dance, The Rabbi's Havdalah, Torah Celebration, Torah Procession, Tsahbahn, Valakskayah, Women. Noty, akordové značky, 44 stran. Škola hry na trubku pro 1. a 2. ročník základních uměleckých škol. Noty, 64 stran. 92 funkových riffů ve stylu James Brown, Marvin Gaye, Michael Brecker, Tower of Power, Sly, Prince, Maceo Parker, Roy Ayers a dalších. Riffy mají většinou 4-6 taktů a na CD jsou pak nahrané s kapelou a také bez trumpety - pro vaši hru. Noty, 40 stran. 10 známých balad pro klarinet: (Everything I Do) I Do It For You (Brian Adams), Bridge Over Troubled Water (P.Simon), Candle In The Wind (Elton John), Imagine (Beatles), Killing Me Softly With His Song, Nights In White Satin, One Day I'll Fly Away, The Wind Beneath My Wings, Without You, Wonderful Tonight (Clapton). Noty, 32 stran. 6 skladeb Bennyho Goodmana pro klarinet a doprovodný klavír: Air Mail Special, Benny's Bugle, Flying Home, Gone With What Draft, Grand Slam, Mission To Moscow. Noty, 28 stran. 10 skladeb ze slavných muzikálů Andrew Webbera pro klarinet. Skladby se naučíte podle not, poslechnete z CD a pak si je s doprovody na CD i zahrajete: Don't Cry For Me Argentina (Evita), Superstar (Jesus Christ Superstar), As If We Never Said Goodbye (Sunset Boulevard), Close Every Door (Joseph And The Amazing Technicolor Dreamcoat), Love Changes Everything (Aspects Of Love), Memory (Cats), Pie Jesu (Requiem), The Phantom Of The Opera (The Phantom Of The Opera), Unexpected Song (Song And Dance), Whistle Down The Wind (Whistle Down The Wind). Kniha A4, noty, 32 stran. Zahrajte si jazzové skladby s big bandem: Bags' Groove [Milt Jackson], Blue 'N Boogie, Blue Train, Doxy [S. Rollins], Four [Miles Davis], Moten Swing, Oleo [S. Rollins], Song For My Father [Horace Silver], Stolen Moments [Oliver Nelson], Straight No Chaser [Th. Monk]. Noty, 24 stran. Slavná filmová melodie pro klarinet a klavírní doprovod. Aranžoval Arthur Frackenpohl. Noty, 6 stran. Legendrání trumpetista Clark Terry získal dvě Grammy, hrál např. s Duke Ellington, Count Basie, Quincy Jones, Ella Fitzgerald, Oscar Peterson, Dizzy Gillespie, Ray Charles, Dexter Gordon, Thelonious Monk, Billie Holiday. Uvidíte jeho vystoupení, rozhovory, vystoupení studentů s komentáři a rozhovory Clarka Terryho a mnoho dalšího. Nahráno v Center for Jewish History, New York City. Anglicky, 4 hod a 32 minut. 9 známých písní pro sólový klarinet: But Not For Me, I Got Rhythm, I'll Build A Stairway To Paradise, Love Walked In, Nice Work If You Can Get It, Oh, Lady Be Good!, Someone To Watch Over Me, Summertime, The Man I Love. Přiložené CD obsahuje plné verze i verze pouze kapela (pro vaši hru). Noty, 32 stran. Škola hry na klarinet 1. Praxí a potřebami učitelů na ZUŠ prověřená nástrojová škola se stala základní učební pomůckou při elementární výuce klarinetové hry. Škola nepředpokládá předchozí hudební průpravu a obsahuje rovněž cvičení pro rozvoj hudebního sluchu a rytmického cítění. Publikace je doplněna posuvnou tabulkou hmatů. Autor. Bedřich Zákostelecký. Noty, 114 stran. Noty jsou určeny a rozděleny pro všechny dechové nástroje (Bb, Eb, C, C bass). Jako obvykle tato série nabízí 10 známých skladeb v kvalitní podobě jak v notách, tak na výborně nahraném CD, kde je verze kapela+sólo i kapela samotná pro vaši hru. Obsahuje i volné chorusy pro vaši improvizaci. All Blues, Blue In Green, Four, Half Nelson, Milestones, Nardis, Seven Steps To Heaven, So What, Solar, Tune Up. Noty, 52 stran. Andy Statman discusses the background, techniques and stylistic nuances needed to perform Klezmer correctly, regardless of your instrument. This stirring music, increasingly popular among Jewish musicians as well as with 'world music' enthusiasts around the globe, is highly improvisational, with powerful melodies and rich ornamentation. Andy teaches typical Jewish tunes, playing each one slowly and unornamented, then demonstrating how trills, slurs, grace notes, vibrato and other variations 'bring out the heart that's inside the melody.' You'll learn connecting runs, classic ending, 'dangerous' ornaments to avoid, and the rhythmic underpinning of this vital music. Andy then performs each tune on Clarinet, accompanied by Zev Zions on the accordion. 80 minut, anglicky, booklet s notami přiložen. 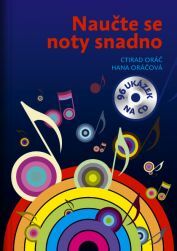 20 známých jazzových skladeb: Bésame Mucho, Fever, Fly Me to the Moon, Flying Home, God Bless'The Child, Harlem Nocturne, Hit the Road Jack, I Wish I Knew How It Would Feel to be Free, I'm Gettin' Sentimental Over You, Is You Is or is you Ain't My Baby?, Jump Jive An'Wail, Li'l Darlin', Ma Que Nada, Perdido, Perhaps Perhaps, Satin Doll, Straight No Chaser, Sway, Take the 'A'Train, Girl From Ipanema. Na CD jsou kompletní verze i verze kapely bez klarinetu, se kterými se vám bude výborně cvičit. Noty, 55 stran. 17 populárních melodií pro klarinet: Every Breath You Take STING, Dancing Queen ABBA, Wonderful Tonight CLAPTON, Hey Jude BEATLES, Torn NATALIA IMBRUGLIA, Killing Me Softly With His Song, I Believe I Can Fly, Candle in the Wind ELTON JOHN, Falling into You CELINE DION, Eternal Flame, Everything I Do I Do It For You BRIAN ADAMS, Love is All Around WET WET WET, One Day I'll Fly Away, Show Me Heaven, Take My Breath Away. CD obsahuje jak verze kapela+klarinet, tak také pouze kapela pro vaši hru. Noty, 56 stran. To co doposud žádná škola neučila: úloha v kapele, stavba skladeb, improvizace, naslouchání spoluhráčům, melodie, harmonie, cvičení. To vše na ukázkových skladbách rock, hard rock, blues, blues swing, funk, popfunk, bossa nova, "stop time". Na CD kapela pro vaše cvičení. "Výborný nápad-učebnice pro každý nástroj z kapely. Nabízí možnost hrát dohromady a rozvíjet smysl pro tým." ... Paquito D'Rivera, saxofonista, 3-násobný držitel Grammy. Více na berkleepress.com. Kniha A4, noty, anglicky, 138 stran.